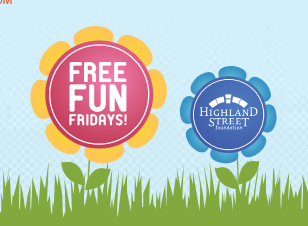 Free FUN Fridays (sponsored by the Highland St. Foundation) invites you to visit designated cultural attractions every Friday this summer with free admission. No registration or tickets required. All you have to do is show up and enjoy! The ICA has a world-class gallery with current exhibits featuring Mary Reid Kelley, Barry McGee, and Steve Locke. If you aren't able to make it for the weekly free hours on Thursdays, check it out this Friday. The oldest commissioned ship in the U.S. also has a full day of activities lined up for Free Fun Friday, including crafts, games, and cookies. Come discover treasures of Concord’s revolutionary and literary history, and don’t miss the special exhibition, Early Spring: Henry Thoreau and Climate Change. The museum will also have activities with a caterpillar theme. Edward Gorey was an American illustrator, author, set designer and costume designer. This museum displays his diverse and extraordinary talents and reflects his distinct personality. This set of six museums includes history, art, and science all within walking distance of eah other. All are open for free admission for Free Fun Friday. This museum features an eclectic mix of fossils,fine art, fish and more. Enjoy all this just a stone's throw from the mountains. For more information on these free events or to learn about Highland Street Foundation, click here.